Credit cards have a bad reputation. People get credit cards with good intentions. Eventually, people usually make mistakes and end up running up a hefty balance on their credit card. They don’t pay the card off in full and they’re left paying ten percent or more interest on their purchases. 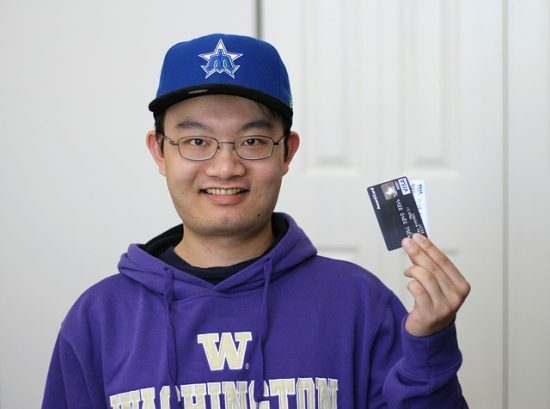 Even though many people don’t know how to handle credit cards, I want you to know that credit cards aren’t bad. In fact, there are many times where credit cards are amazing tools. Sometimes, they can even make you a decent amount of money. Here’s what you need to know. Simply put, credit cards are a tool. They allow you to make purchases without paying for them immediately. They also provide other benefits which we’ll be talking about shortly. Just like with any tool, you shouldn’t use it unless you’ve been properly trained on how to handle that tool. You wouldn’t hand a chainsaw to a child because you’d fear they could hurt themselves. The chainsaw itself can’t hurt anyone. Instead, it is the person operating the chainsaw that has the potential to hurt someone. You should think about credit cards in the same way. Credit cards themselves aren’t inherently bad. They’re only bad when their users charge up more than they can afford to pay off. In an ideal world, no one would ever carry a credit card balance. 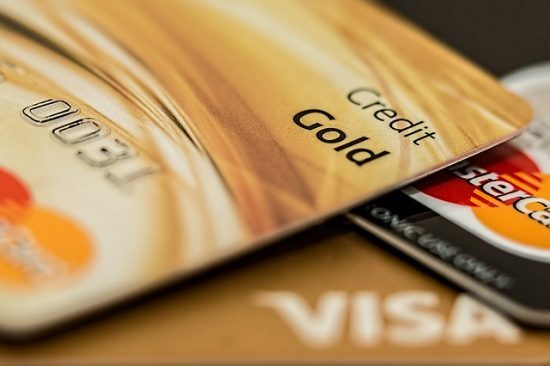 However, if you have a problem with credit cards and can’t seem to pay your balance off in full every month, you probably shouldn’t be using the benefits that credit cards offer listed below. Simply stick to using your debit card, which may offer some of the same protections, or use cash. Paying interest, late fees and other miscellaneous amounts of money to credit card issuers is usually a waste of your money. Save some money and stay out of debt. Now that we’ve got that out of the way, here are some awesome ways credit cards can actually help you. Rewards and sign up bonuses are my favorite credit card benefits, but they’re also the benefits that can get you in trouble. Credit card rewards can be very lucrative. My favorite card offers a flat 2% cash back on all purchases after I’ve paid my card off each month. If you make $20,000 in purchases per year that you could put on a credit card, that’s $400 back in your pocket. However, there is an even more lucrative way to earn credit card rewards. If you aren’t familiar with credit card sign up bonuses, many credit cards will offer you bonus points or cash back to sign up for them if you meet certain criteria. Usually, they make you spend a certain amount of money or make a purchase within the first so many months. 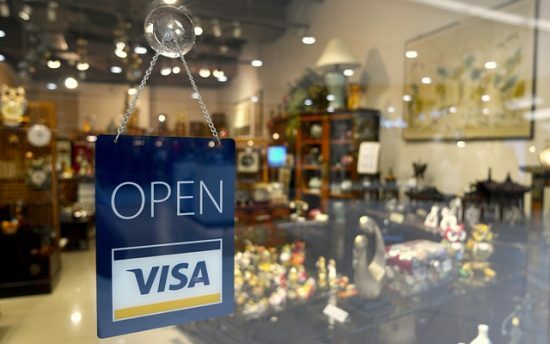 For instance, a card might offer 50,000 miles worth $500 in travel if you spend $3,000 in purchases within the first 90 days of opening your card. My wife and I love sign up bonuses and have easily earned thousands of dollars of sign up bonuses. The danger is spending money you weren’t already planning on to meet the minimum spending requirements. We make sure we always have a plan to meet a spending requirement before we apply for a card to prevent overspending. One amazing benefit most credit cards offer is fraud protection. I’ve never paid a penny for a purchase I didn’t make. I do have my fair share of experience with fraud, though. A few years ago I noticed some unusual activity on one of my credit cards. It turns out someone used my card to order Proactiv, the acne treatment. While I may have acne as a kid, I didn’t when the mysterious person ordered Proactiv on my credit card. I simply called the number on the back of the card and they removed the charge before my next statement arrived. I wish I could say that was the end of the story, but it isn’t. A few weeks later I saw a pending balance transfer for over $3,000 on that very same credit card. After I notified the bank, they promptly shut down the balance transfer and I once again didn’t have to pay a penny. Thankfully, I haven’t had any problems with unauthorized purchases since. While you would think credit cards would only cover unauthorized purchase fraud, they cover other types of fraud, too. Before we were married, my now wife decided she’d try to save money on her wedding dress. She found one she loved online, gave them the measurements they requested and ordered a dress from China. A couple weeks later the dress showed up and it was awful. It looked nothing like the advertised pictures. We thought we were out a few hundred dollars until a friend asked if we had paid with a credit card. Thankfully, we did. Our friend suggested to file a fraud claim with our credit card company. We called and asked if that was a valid reason to file a fraud claim and the credit card company said “Of course! It is false advertisement.”. A few minutes worth of paperwork and a few days later we had a credit on our statement for the price of the dress. If the credit card issuer didn’t allow us to file a fraud claim for the wedding dress my wife bought, we could have filed a return protection claim. Some credit cards allow you to return an item for a certain amount of time after you buy it if the merchant won’t take it back. Time periods range from 30 days to 90 days or longer. There are usually dollar limits per item and per year. For one of my cards, I can get back up to $300 per item and up to $1,000 per year. Some items aren’t covered. My card won’t cover cars, other motorized vehicles and computer software to name a few items. Of course, you have to actually buy the item with your credit card to use this protection. Have you ever bought a brand new cell phone, dropped it and cracked the screen within the first month? If you paid for that cell phone on a credit card, you may be able to get it repaired for free or be reimbursed for the purchase. One of my credit cards offers protection for an item bought with my card from getting stolen or damaged within the first 120 days, unless you’re a resident of New York which lowers your protection to 90 days. They limit each item at $1,000 and a total of $50,000 per year and don’t cover motorized vehicle purchases. If you buy an item with a manufacturer’s warranty, you could automatically get that warranty extended by making the purchase on a credit card. Most cards either give you an additional 12 months, 24 months or double the extended warranty period. If the item breaks after the manufacturer’s warranty expires but while your extended warranty is valid, you’ll usually get the item repaired or replaced for free. Again, most issuers won’t cover motorized vehicle purchases and have a limit per item. The limit per item is $10,000 on one of my cards. Renting a car can be frustrating because you get hit with last minute insurance upgrades that you feel obligated to purchase just in case. Some credit cards make your car rental a bit cheaper by offering worldwide rental car insurance coverage if you charge the rental on your card. My favorite card requires me to decline the rental company’s collision loss/damage insurance for the coverage to be in effect and will cover up to $50,000 for repairs. They don’t cover damage to other cars, personal property or injury to either you or other people, though. Check with your credit card for details on whether you’re covered or not and what is specifically covered for you. Everyone hopes their vacation or other trips go off without a hitch. Unfortunately, that doesn’t always happen. If you have unexpected non-refundable expenses because your trip is cancelled or interrupted for covered reasons like sickness, you may be reimbursed up to a certain amount per covered individual. You usually have to pay for the whole trip or at least part of it on your credit card. For instance, if you have to change your flight due to sickness, the credit card may reimburse you your change fees. This coverage can vary greatly from card to card, so make sure to check what your specific card offers. Many credit cards have begun offering free credit scores. Be careful. Not all credit scores are actual FICO scores. Most cards update your score once a month but others update it less often. While this benefit is nice, there are plenty of places to get free credit scores these days. Granted, most of the free credit score aren’t FICO scores, either. If you’re not sure what benefits your credit card offers, try searching your issuer’s website. Alternatively, you can call the number on the back of your card and ask a representative to mail you a list of your benefits.